Onboard Communications System, Remote Trunk Release, Keyless Entry, Electronic Stability Control, Bucket Seats. RS PACKAGE includes (RQ9) 20" 5-split spoke premium Gray-painted, machined-face aluminum wheels, (T4F) high intensity discharge headlamps, LED taillamps, RS-specific grilles and (D80) decklid-mounted lip spoiler, SUNROOF, SIDI, VVT (275 hp [205 kW] @ 5600 rpm, 295 lb-ft of torque [398.3 N-m] @ 3000-4500 rpm) (STD), 8-SPEED AUTOMATIC includes transmission oil cooler and (BTV) remote vehicle starter system (When ordered with (LGX) 3.6L V6 engine, also includes Active Fuel Management. 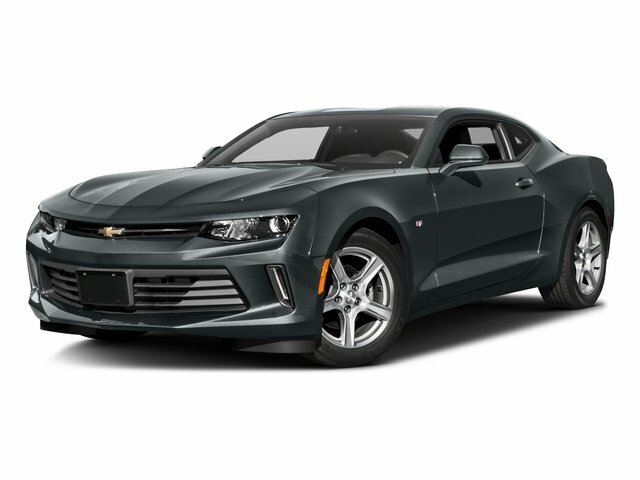 (STD), CHEVROLET MYLINK RADIO WITH 7" DIAGONAL COLOR TOUCH-SCREEN, AM/FM STEREO WITH SEEK-AND-SCAN AND DIGITAL CLOCK includes Bluetooth streaming audio for music and select phones; featuring Android Auto and Apple CarPlay capability for compatible phone (STD). Chevrolet LT with SUMMIT WHITE exterior and JET BLACK interior features a 4 Cylinder Engine with 275 HP at 5600 RPM*. Was $21,900. This Camaro is priced $2,600 below NADA Retail.